The power of commercial TV advertising. Ever wondered how many regional television areas the ITV network has, and where their coverage lies? Well with fifteen in total you need to select your regional coverage carefully. Here we have a heap of maps ITV regional coverage maps available so that you can get a better understanding on the right regions for you. At Redwood Advertising, we pride ourselves on our expertise in television advertising. After all, we are independent so if you have any questions about the right platform for you do get in touch. With contacts nationwide, we have a deep understanding of the market and offer highly competitive rates throughout multiple markets. 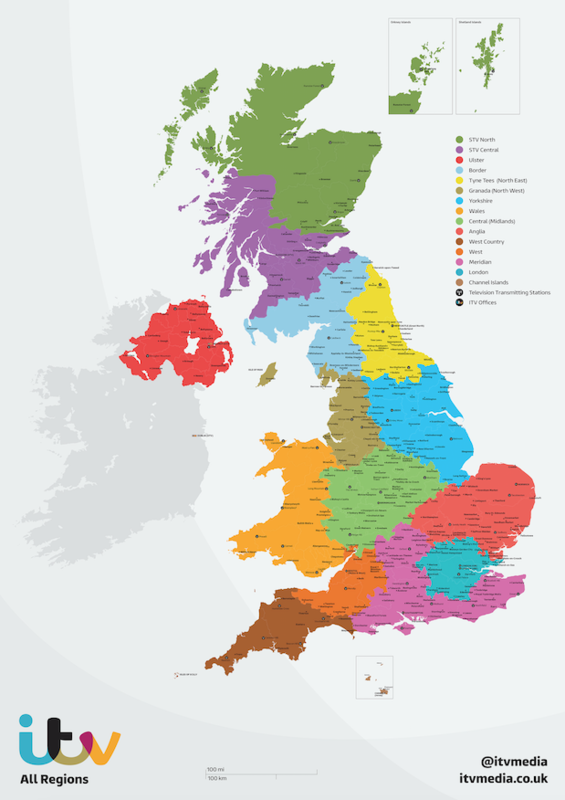 Download ITV regional coverage maps.